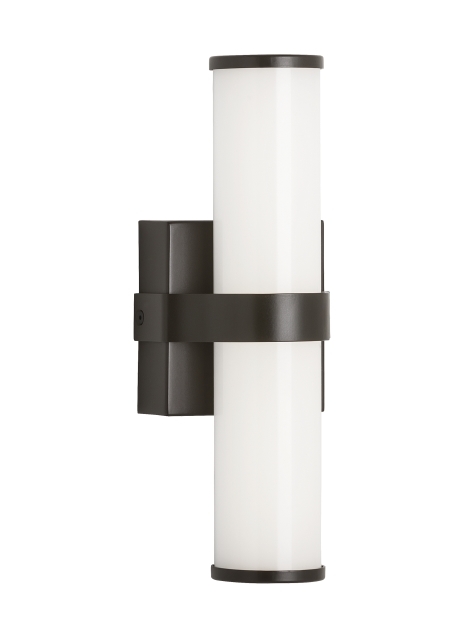 The sleek metal band and matching die cast end caps of the Lynk 12 wall sconce light from Tech Lighting embrace a rounded acrylic shade to seamlessly blend traditional and contemporary design. Offered in three finishes to complete the contemporary design. Antique Bronze, Chrome and Satin Nickel. Can be mounted horizontally or vertically. Additional sizes available with 24" long and 36" long. LED includes 12 watt 650 lumen 90 CRI 3000K LED module. Dimmable with a low-voltage electronic dimmer. Mounts vertically or horizontally. ADA compliant. An elegant design great for any vanity or bathroom.